No, you’re not experiencing déjà vu. This is the 2016 Mitsubishi Outlander SEL. It might look a lot like the 2016 Mitsubishi Outlander Sport GT I wrote about a couple weeks ago, but it’s not. 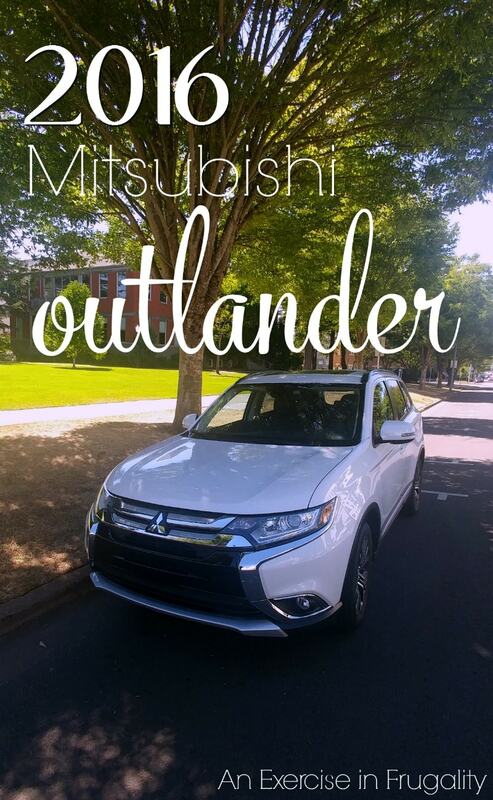 Think of it as the Outlander Sport’s older, more refined cousin. While the Sport is…well…more sporty, the Outlander SEL is more of a laid back sort of gentleman, with his roomy interior and top-notch stereo system. Last week, we got to spend 7 days enjoying the Outlander SEL. It has the same engine as the Sport, but in a larger body with a few different features. We didn’t have any fun plans that week unfortunately, so mostly I took her out running errands. While that doesn’t make for a glamorous story, it does show you that this vehicle is perfect for your average family! The 2.4L MIVEC engine, CVT transmission and Super All Wheel Control (S-AWC) make it a great ride, with decent power, handling and control. It was a smooth ride, definitely a road-trip friendly vehicle. I could definitely see passing the hours and seeing the sights in comfort and style. There are 3 rows of seats: 2 in the front, 3 in middle and 2 in the rear. 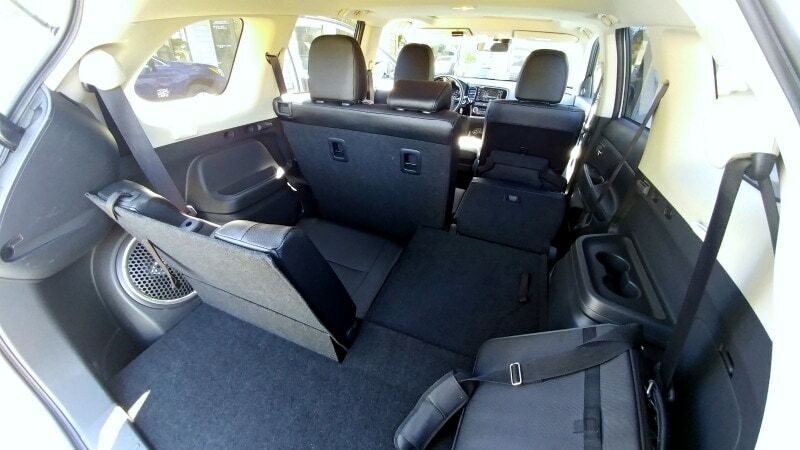 Unfortunately the rear seats are extremely small, and when the seats are in position, the cargo space is minimal, but with a quick pull of a couple levers, the seats fold flat easily, and then the cargo space is ample. What I really like about this vehicle is that all seats have 3-point seatbelts with head restraints and LATCH child restraint system. We don’t have kids yet, but for those who do I know these features are a big plus. And of course, since we hope to have children in our future to fill all those seats (ok, some of those seats) this is something to consider when looking for a vehicle. Safety is of course a huge concern, and the Outlander addresses these in spades. 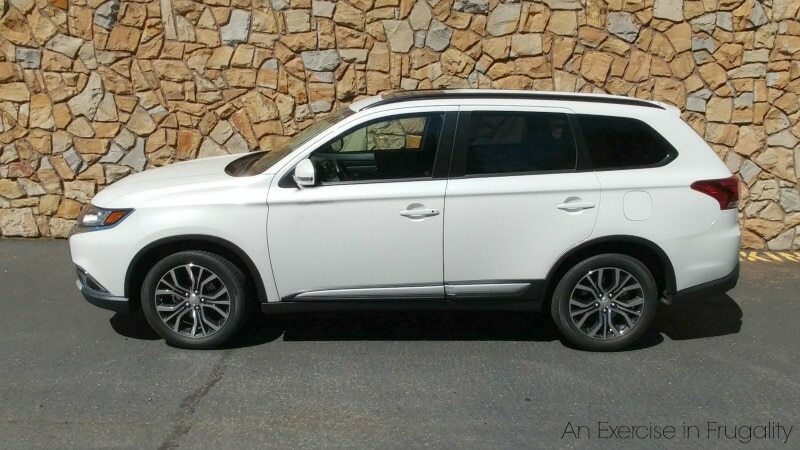 The big list of safety features is backed by the amazing Mitsubishi warranty that I’ve talked about in some of my other reviews. I think its a huge selling point, and from the perspective of a budget-conscious buyer, it gives me a great peace of mind knowing that so many things are covered by their warranty. If something goes wrong, chances are good it won’t be coming out of your pocket. 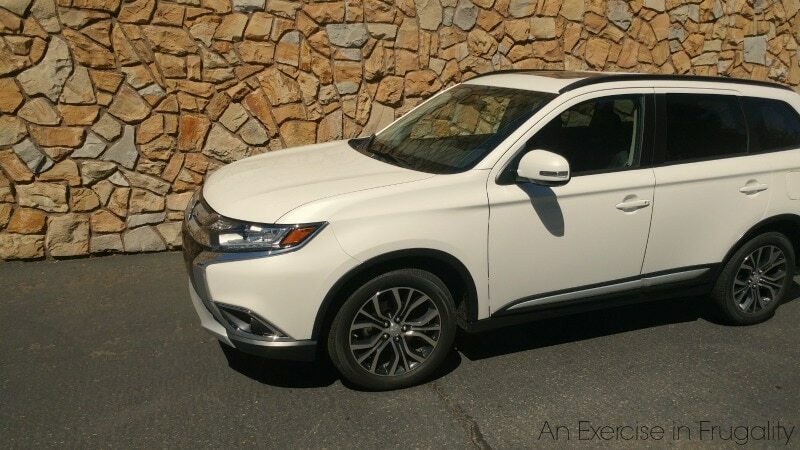 The Outlander also has a 5 star overall government safety rating, and 5 star ratings in frontal passenger crashes, side crashes (front and rear seats)and 4-star in rollover and frontal driver side crashes making it a safe vehicle for your whole family. Gas mileage wasn’t particularly stellar at about 24 mpg city and 29mpg highway, but I still thought it was pretty good for such a large vehicle. The Outlander starts at $26,995 making it an affordable family option. 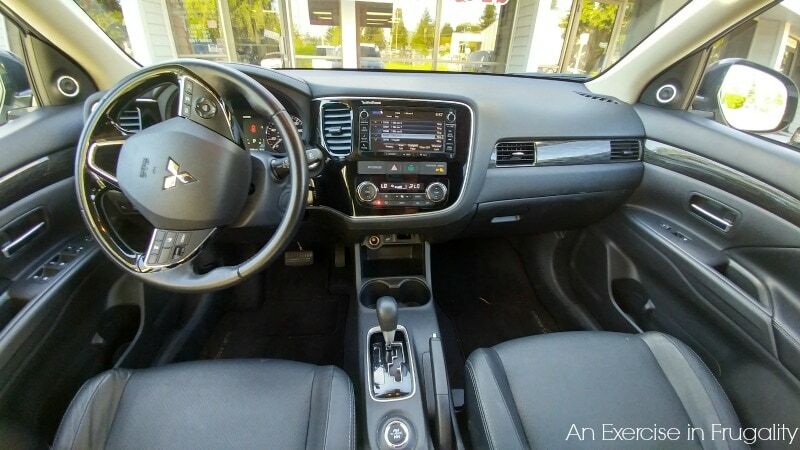 Ours was the SEL package which has a pricetag closer to $33,000 with options like the navigation system (really nice to have!) forward collision mitigation, adaptive cruise control (another awesome safety feature that adjusts your speed if you’re too close to the car in front of you), lane departure warning and much more. Overall we enjoyed the Outlander. I think it would be hard to get much use out of that third row of seats, but if you don’t need them you’ll have a good amount of space for all your toys when they are folded down and the seats are a nice option to have. While the sport has a bit more pep (same size engine in a smaller vehicle) the Outlander SEL is a more subdued, refined ride. Both are enjoyable in their own way, and both would be a great fit for a family looking for a larger vehicle with good cargo space, and well-equipped with safety features and a fabulous warranty! If you’re interested in my other Mitsubishi car reviews, make sure you check these out! What do you think of the 2016 Mitsubishi Outlander SEL? Definitely looks like it has plenty of room in the back once those seats are down. Is it good on gas mileage?